I have tried so many products since I first went natural in 2009, so you can say that I am a product junkie at heart. It’s always hard for me to find products that would keep my hair fresh during my protective style, and most importantly finding products that don’t leave residue in my hair with too much buildup. When Dark and Lovely released their new Au Naturale Length Retention products for protective styles this year, I knew I had to try this line. Maintaining healthy hair starts with the scalp and Dark and Lovely has just the products to help keep your scalp healthy. The Length Retention for protective styles line was created to help nourish the scalp while your hair is being protected. This line is also chock-full with jojoba oil and peppermint oil to help refresh and soothe the scalp without no sulfates, no mineral oil, no parabens, and no petrolatum. I always have major issues with my scalp and this product helped keep my scalp feeling very fresh and clean. This cleanser was created to help keep your protective style and scalp feeling clean and fresh between wash days. The refreshing scalp cleanser brings scalp comfort and care on the journey to length retention. I barely had any dandruff once I removed my protective style and that’s huge for me. I sprayed this product on my scalp, let it sit for a minute or two, and removed the excess using a cotton ball or paper towel. The S.O.S Nourishing Scalp Elixir is a nourishing treatment that really saves lives. 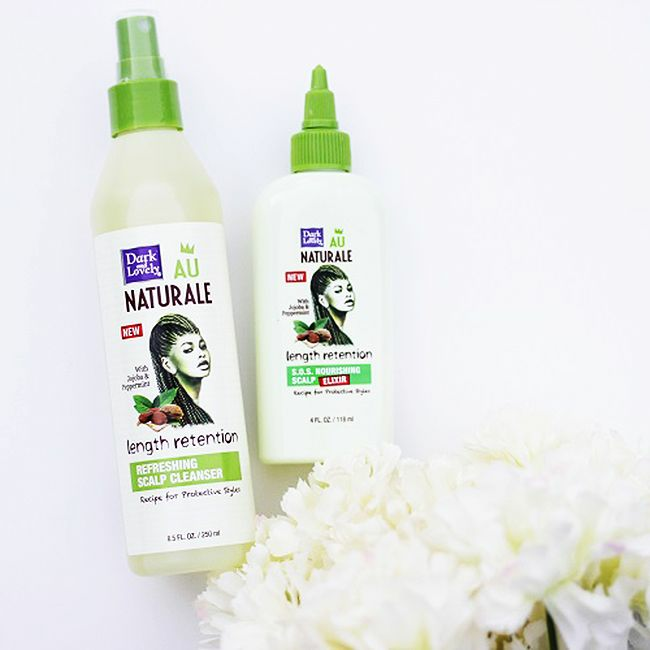 The key ingredients in this product are arginine and ceramide, which helps to maintain a healthy-looking hairline and scalp when wearing protective styles. This product prevented my scalp from getting dry. The Protective Styles Nice and Neat Braiding Custard helps keep your hair moisturized, soft, and conditioned while keeping your style looking new. I am very happy that I applied this to my hair before installing my protective style, because I noticed that my hair remained moisturized throughout the duration of my protective style. The Protective Styles Tame and Strengthen Edge Saver definitely helped save my edges while sculpting my protective style. Your edges are the first part of your protective style that will begin to get a little fuzzy over time, but this product helped control my frizz and also helped slick down my fly-aways. This is definitely needed with any protective style and should be kept on hand at all times. Overall this line really helped me keep my protective style looking fresh and maintained! We haven't seen many reviews for this line yet, and we'd love to know what you think. If you've tried it, share your thoughts in the comments below. And if you haven't yet tried it - would you try a product that's specifically formulated for protective styles?